For families we have lots of creative outdoor spaces to enjoy. 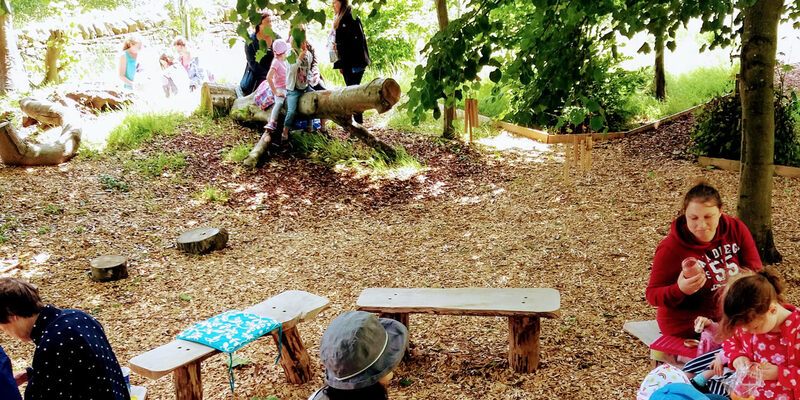 The Lost Elf Village is for our youngest visitors to explore dens, huts, bug hotels and tree platforms and develop imaginative play with our utensils and natural loose parts such as pine cones, shells, bark and bamboo. If you take a walk through Cambo Den you may spot an elusive Glingbob or Tootflit… We know because we have seen their doors and windows in our trees! You will need eagle eyes and a map to help. Be sure to leave us a drawing if you see one!